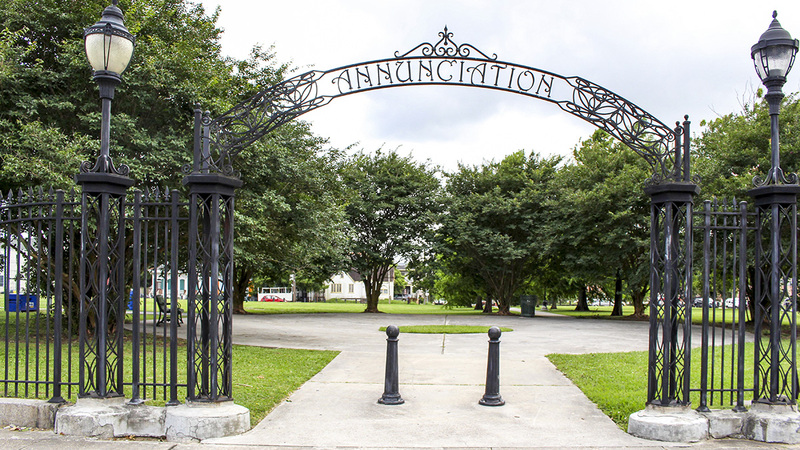 Located in the Lower Garden District, this 3.5-acre square once formed the center of one of antebellum New Orleans’ most exclusive residential neighborhoods. In 1807, Surveyor General Barthélémy Lafon laid out two adjoining plantations into lots and squares, one subdivision called Faubourg Lacourse and the other Faubourg Annunciation. In the middle of the two subdivisions was a square named Place de l’Annunciation. 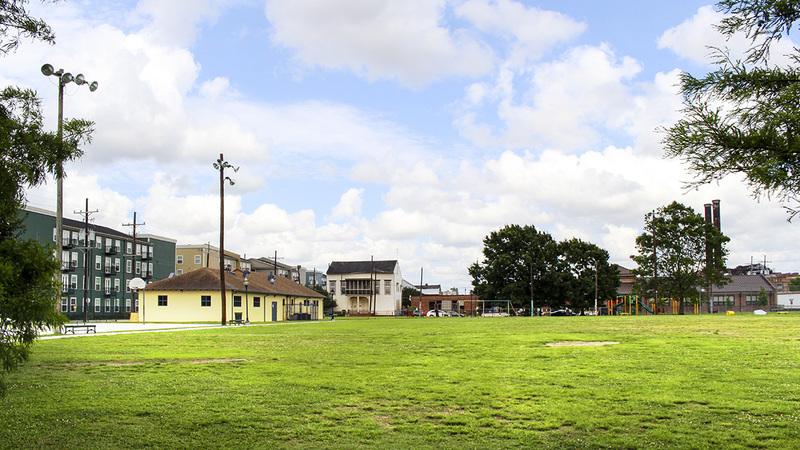 In 1854, the City of New Orleans purchased the Square and designated it for public use. 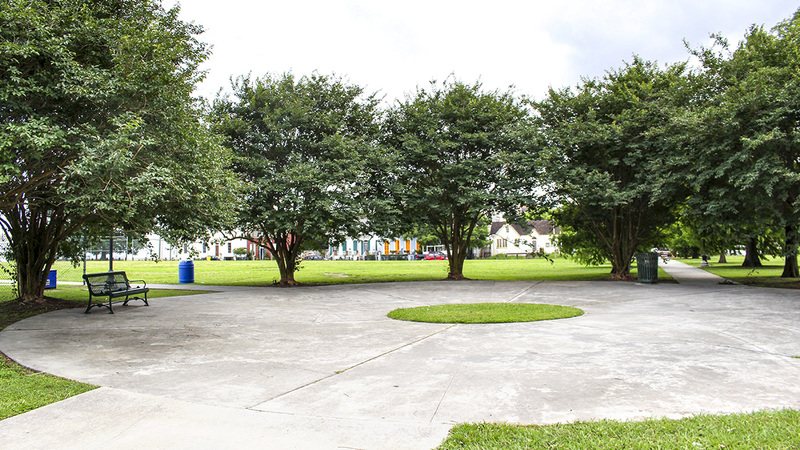 The square’s current configuration was designed by the local firm, Cashio Cochran in 1989. Covering one large city block, the square is bordered by streets and sidewalks on all sides. 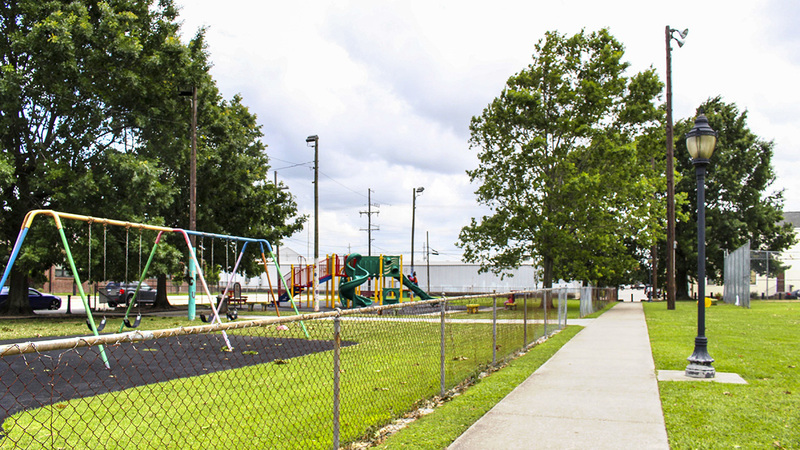 A recreation center, basketball court, and formal entrance are located along the northern edge of the parcel. The entrance there is framed by a metal gateway and black metal lamp posts. 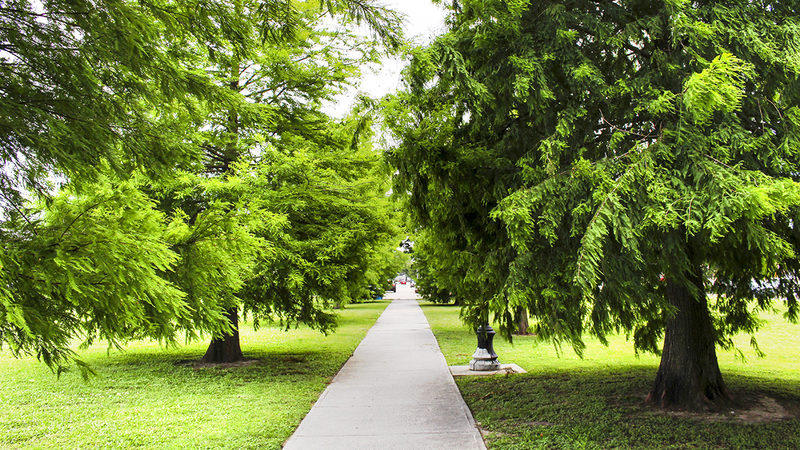 The gateway leads to a circular concrete pad with grass at its center and encircled by mature-canopy trees. A playground and picnic area extends along the eastern edge of the square. The remainder of the parcel is separated from the surrounding sidewalks by wooden posts. Most of the square comprises a large multi-use field, which extends to its southern boundary, while a rectangular open field forms its western edge. Concrete sidewalks divide the individual sections of the square, which is otherwise open.